After falling to a low of just a few dozen in the mid-20th century, the tigers now number around 500, with close to 100 cubs — thanks to conservation measures that include habitat restoration and an illegal-hunting crackdown. The article highlights the devastating deaths of North Atlantic right whales because of regulatory foot-dragging. Although the dire situation finally triggered protection measures for whales and their habitat, some worry it’s too little, too late. We won all cases except the one to force government to order immediate on-the-water changes to human behaviour. That case became moot when federal fisheries and environment ministers recommended emergency protections only to have cabinet turn them down. At least we were able to get a multi-stakeholder advisory process to decide what changes to human activities will be made to help the whales. There’s hope, but also concern that time is running out. Earlier this year, the Foundation partnered with two conservation organizations and two First Nations to ensure the federal environment and climate change minister fulfils her legal responsibility to protect five boreal caribou herds in Alberta. There’s often room for sustainable economic development and species abundance, but sometimes tough decisions have to be made, and politicians will look to the public to gauge the extent to which we consider wildlife loss a crisis. Many wildlife populations in Canada are in peril. Is this regarded as a societal crisis? If not — if faced with leaving a vastly diminished world for future generations and losing species like orca and caribou is not seen as an urgent matter — why not? What will it take to make wildlife crises our own? Is there a tipping point at which Canadians will create the political momentum for society to pivot from wildlife decline to supporting much overdue conservation actions? If so, have we not reached it? 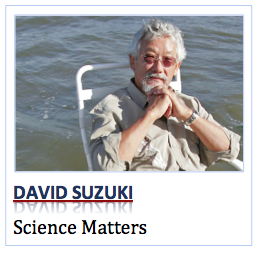 1 Comment on SUZUKI – When does plant and animal species loss become a societal crisis? Homo idiota is much closer to reality.